« Today in Madonna History: Celebrates Our Four-Year Anniversary! I had no idea she’d been so successful on the Canadian chart. How did Holiday do? Did it hit #1? 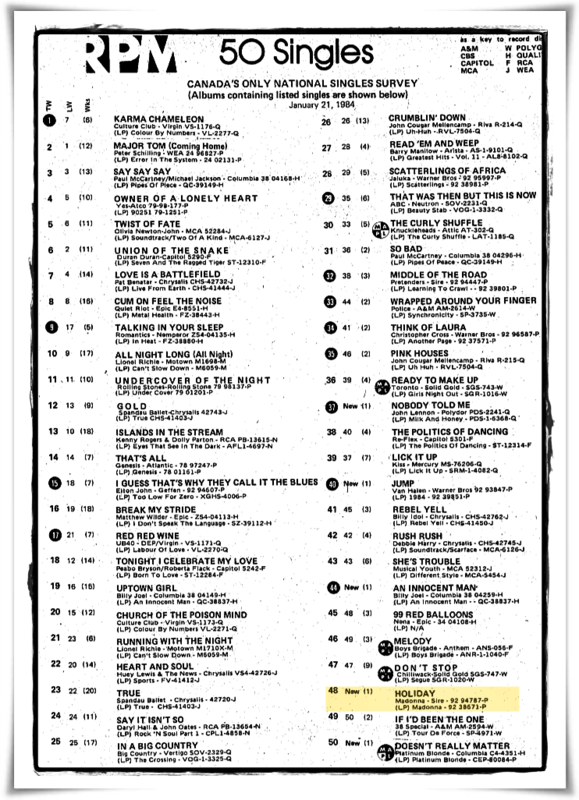 No, not by a long shot…it peaked at #32 on April 7, 1984. Lucky Star was her first Canadian Top 10 hit, reaching #8. Like A Virgin was her first #1 single. But yes, she’s been very successful here! Glad she’s been doing more Canadian dates on her recent tours – per capita she has a relatively large and very loyal fanbase here.